Today's lightweight engines are producing more horsepower, higher cylinder pressure, clamp load and extreme temperatures. We offer a wide range of Multi Layer Steel (MLS) gaskets to provide innovative, quality gaskets while maximizing your engine’s power and performance. Our gaskets are proudly made in the U.S.A. or in Italy with high quality materials. We committed to two leading automotive gasket brands: Wiseco Gaskets To complement our complete line of pistons, Wiseco offers performance head gaskets for most of the common sport compact engines. Wiseco’s sport compact head gaskets are multi layer steel gaskets that are embossed and coated to conform to the sealing surface. These gaskets are designed for the rigors of high boost, nitrous, high temperatures and engine loads and are of the highest quality in the industry. JE Pro Seal Gaskets Racing engines need racing gaskets! Are you still running a regular, off-the-shelf, OE-replacement gasket made for high volume production engines? JE Pro Seal has been the industry leader in piston ring and sealing technology for decades. Our high performance products are featured in professional race engines in NASCAR, NHRA, Emerican Le Mans Series, Grand Am, World of Outlaws and other top level racing organizations everyday! Trust the same engineering and experience to seal yoiur engine with JE Pro Seal Multi Layer Steel head gaskets. Our product line is full of exclusive features you won't find on any other gasket, anywhere. Don't put a standard gasket in your engine, step up your program with JE Pro Seal. Cometic Gaskets, Inc. In only 18 years Cometic Gasket, Inc. has grown into a leading worldwide supplier of custom and short-run gaskets for the motorsports industry. What originally began in 1989, in a 800 square foot office with limited production facilities, has transformed to a 70,000 square foot state-of-the-art manufacturing centre, located in the heart of the Midwest in Ohio. Today, Cometic produces and ships more than 5,000 types of gaskets to customers worldwide. Since its inception, Cometic Gasket has been committed to producing superior quality gaskets for the hi-performance motorsports market. We believe that customer satisfaction comes from close relationships with customers and attention to detail; these remain as our guiding principles to this day. To ensure superior performance across a wide variety of engine types and sizes, we manufacture our gaskets from a wide range of materials. Whether the situation calls for the latest in advanced technology like our MLS- (Multi-Layer Steel) or MLX gasket, or a synthetic blend such as our Aramid Fiber, Cometic has the answer. 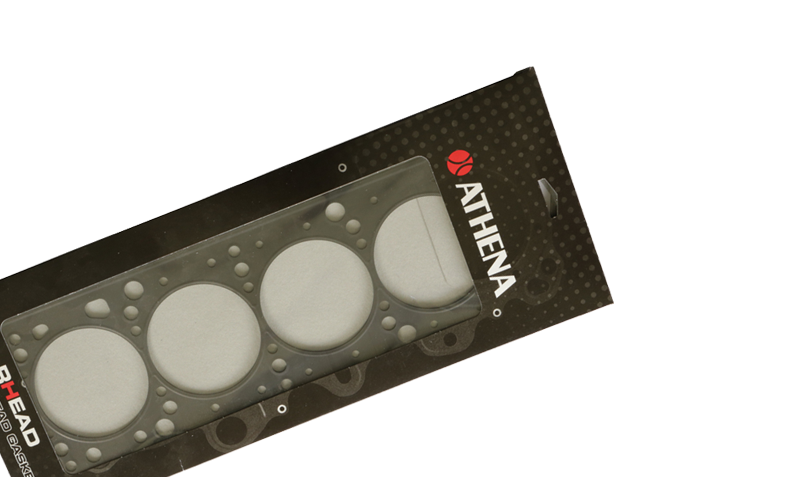 Athena S.p.A. Athena is a group of 7 companies, founded in 1973, producing gaskets for industrial, automotive and power sports applications. They all operate according to UNI EN ISO 9002 quality standards. Their mission statements are: reliability, availability, technical evolution and constant improvement. Professional people, state of art equipment for production and testing are crucial elements to assure the Athena quality standards; innovation, performance, competitiveness and reliability on each product, everything to satisfy their customer’s expectations.